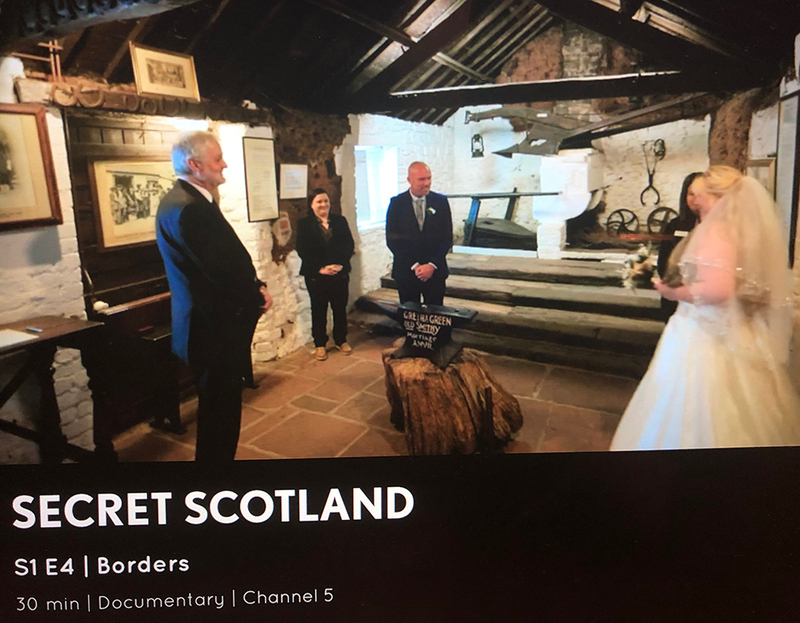 As the UK’s ‘wedding capital’, the world-famous home of the original runaway wedding, Gretna Green, was undoubtedly showcased in episode 4 ‘Borders’ of the new Channel 5 and ICW Media production of Secret Scotland with Susan Calman. The host of the show, Susan Calman, gained UK national fame when she joined the cast of Strictly Come Dancing in 2017, despite already being a day-time Television and Scottish favourite. Scottish comedian, television presenter and writer, Susan, visited the Famous Blacksmiths Shop to film scenes with our Blacksmiths Guide, Frank Clarkson. Susan had the chance to experience a real Gretna Green romance story, when she witnessed a wedding for couple, Lorraine and Aiden; in the Original Marriage Room at the Famous Blacksmiths Shop. She exclaimed as another happy couple was blessed by the Blacksmith Guide over the Anvil. Susan also discovered the important part of a traditional Scottish wedding, handfasting plays. Said to be the origin of the phrase “tie the knot”, handfasting is the tradition of binding a couple’s hands with a sash, rope, ribbon or cord with a knot. Susan completed her Gretna Green journey, by taking part in a Gretna Green Anvil Handfasting experience; with the help of Frank and another Blacksmiths Guide, Anne. As far back as medieval times, handfasting existed as a pre-marriage ritual – the original ‘Engagement period’ - south of the border and as a ‘Marriage of Declaration’ or pre-marriage in Scotland. No diamonds, no jewellery, only two people who loved each other and wanted to prove their commitment to each other; they would be handfasted and if still together, would marry a year later! As the knots were tied and couples, so too were their lives bound together. Handfasting was and still is one of the most beautiful and unique ways to represent a couple’s union; but can also be used to celebrate friendship, families and more. 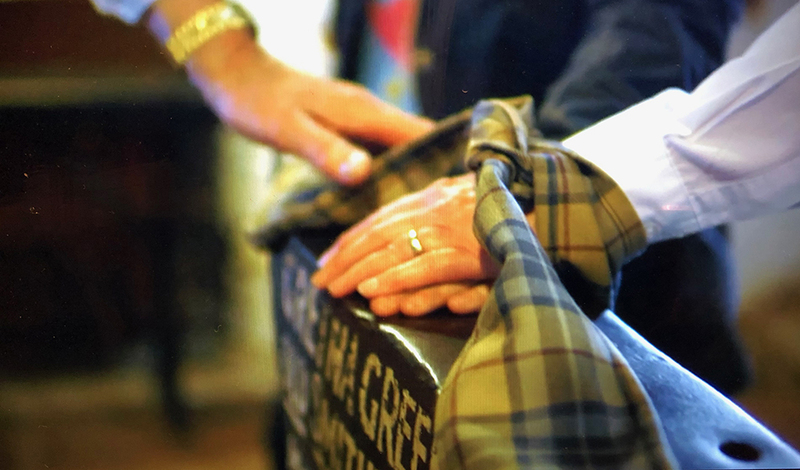 Here at Gretna Green, we provide romantic, intimate Anvil handfasting ceremonies for all types of occasions; such as renewing your wedding vows, celebrating your engagement or an important anniversary, or even just confirming your love to each other. The service isn't religious or legally binding and you can tailor your ceremony, making it extra special, by incorporating your own vows, promises or special words into our traditional Anvil Blessing. Then, just like an Anvil Wedding, let the sound of the hammer on the anvil seal your love! Handfastings aren't solely for couples. Families and friends can also share this experience and we’ll help you design a bespoke ceremony to enjoy cherished moments with each other. Handfasting at Gretna Green is one of the best, unique and personal gifts available. Plus… both our traditional handfasting ceremonies and our new handfasting experience package can be purchased as a gift. WHERE CAN I WATCH SECRET SCOTLAND? 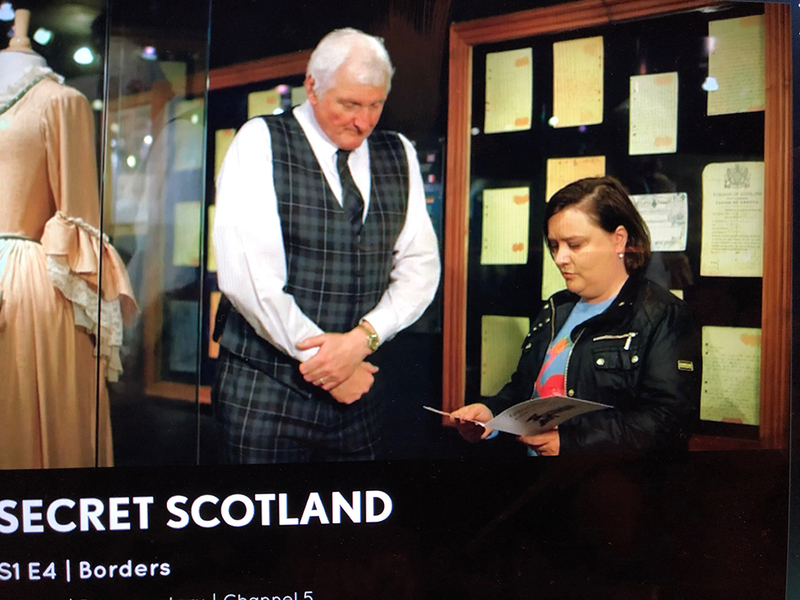 If you haven’t already seen Secret Scotland with Susan Calman, visiting the Borders, you can catch up on the Channel 5 on-demand service in the UK, here: https://www.my5.tv/secret-scotland/season-1/episode-4; available to watch until 1st March 2021. HOW DO I FIND OUT MORE ABOUT ANVIL HANDFASTING? Find out more about Anvil Handfasting at Gretna Green, by visiting our Handfasting page on our website for more information, pricing and how to book, here: https://www.gretnagreen.com/anvil-handfasting-a762.